Come join us for a networking breakfast !!! 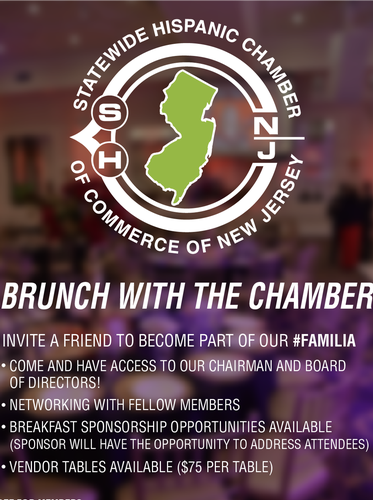 We are hosting our monthly networking breakfast where you will have the opportunity to meet and brainstorm with our Board as well as important business members of our Familia. The most important purpose of the Chamber is to connect people and businesses to a network that will provide them with the support and contacts that they need in order to grow as a community, business or as an individual. This is why we encourage you to bring your friends, partners or local business owners that might be interested in joining us!!! Non Members can join us for a fee of $20.00 that can be credited towards an individual membership.